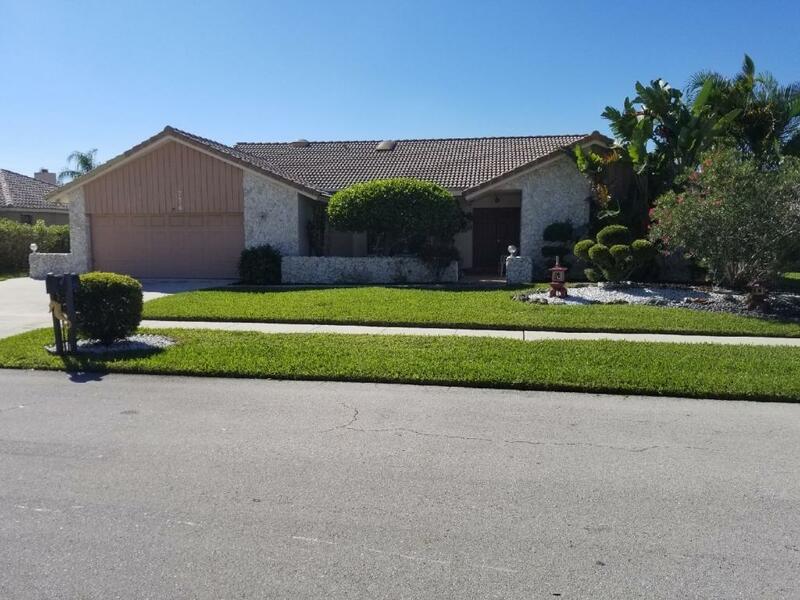 All CAMINO LAKES UNIT 2 homes currently listed for sale in Boca Raton as of 04/21/2019 are shown below. You can change the search criteria at any time by pressing the 'Change Search' button below. "Entertain all year long in this stunning bright Lakefront Custom Screen enclosed Patio and Pool home. Less then 3 minutes to Atlantic Ocean or Mizner Park. Large open Kitchen and Family Room with views of pool with waterfall and gorgeous lake with the most beautiful sunsets!! Split bedroom floor plan, Vaulted ceilings, 2 1/2 car garage, Pull down ladder for easy attic access, Oversized patio with pool and waterfall, Outside shower and faucet and sink, Large lakefront lot and dock, Family room-large fireplace with white stone wall, Kitchen with granite counter tops oversized pantry, separate eat in area, Large dining room and living room, Large indoor atrium, Central vacuuming, Master bathroom and Jack & Jill bathroom with walk in shower and bath, CBS construction." "Bring your offer! 1799 SW 7th Ave is a masterpiece Camino Lakes property ready for it's new owner. This home rests upon a quarter-acre lot (one of the largest in the neighborhood with plenty of room for a pool!) featuring 4 bedrooms, 2.5 baths, 2 car garage with a large driveway, split floor plan with over 2,300 SQFT of living space, newer roof (2015), marble floors throughout, custom cherry wood kitchen, textured walls, vaulted ceilings, fireplace, and private yard with large screened, covered patio. Accordian hurricane shutters throughout. Immensely cared for. Located on a private, quiet street and within minutes to beaches, shopping, Boca Raton's A+ schools, Mizner Park & all of your in-town needs."